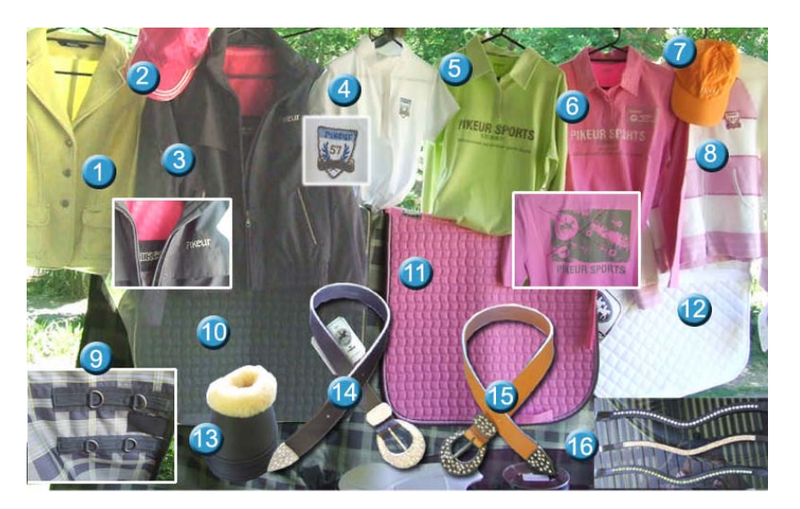 To Order: Contact Zoe via email or phone 08 92988520. 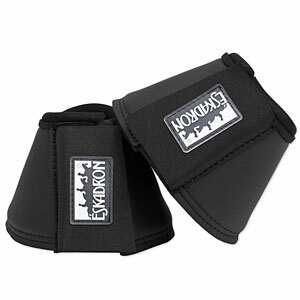 Eskadron classic sports headcollar with easy adjustable non slip push buckle on poll strap. 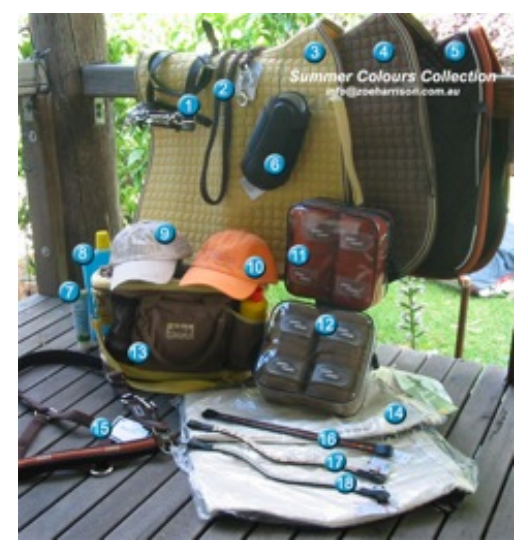 Made of double processed, 25mm tearproof webbing headcollar with soft padding in the nose and poll area. 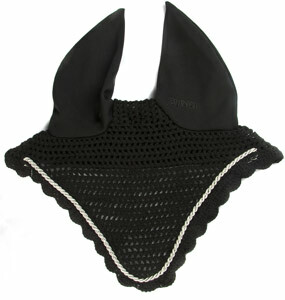 'Classic Sport' written across the noseband gives the headcollar a special look. Lead ropes are also available in matching colours. Lead rope made from plaited tear proof polypropylene yarn, 2 metres in length with brass coated panic hook or brass coated swivel hook. 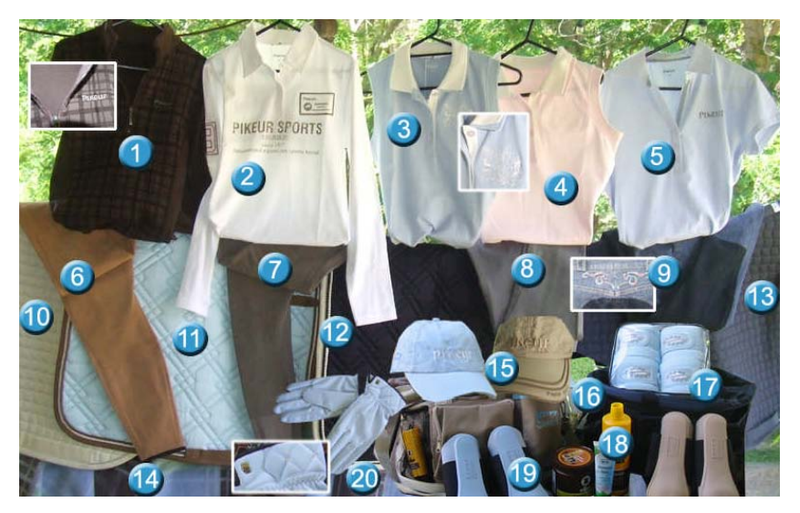 Made from elastic fleece material. Velcro fastening. Protects tendons and ligaments. 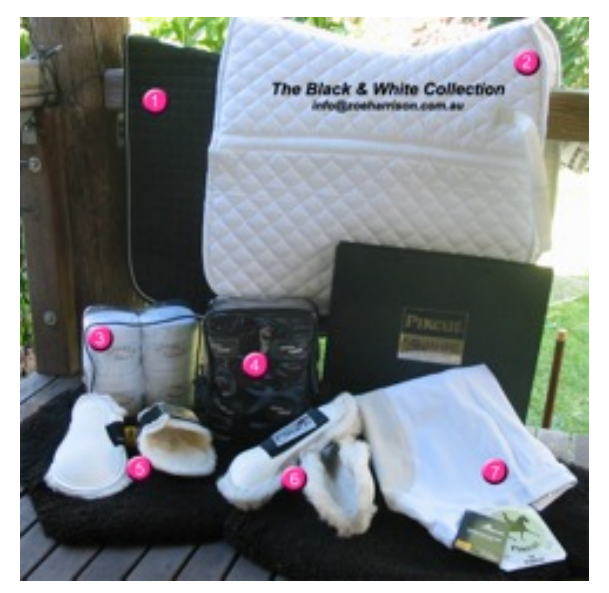 The fleece provides sufficient padding, no need to use with linings. 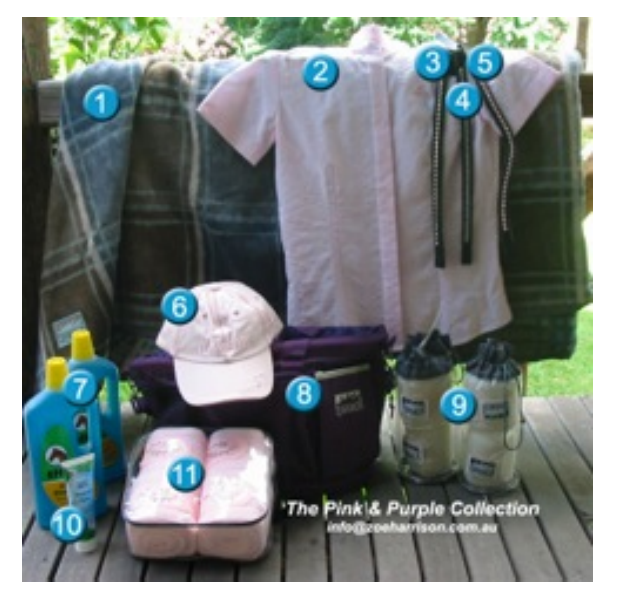 Eskadron Cotton Saddle cloth with new quilt design. 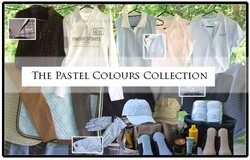 A hard wearing attractive quality saddle cloth particularly suitable for embroidery as a club saddle cloth. 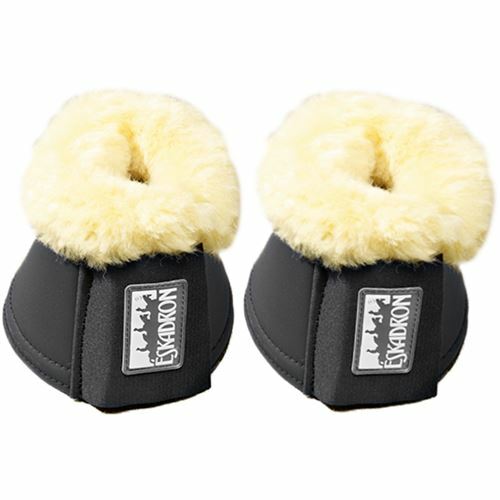 The Eskadron® Sheepskin Bell Boots feature a tough synthetic leather outer with a soft neoprene lining and natural sheepskin on the fetlock rim for maximum comfort and protection. 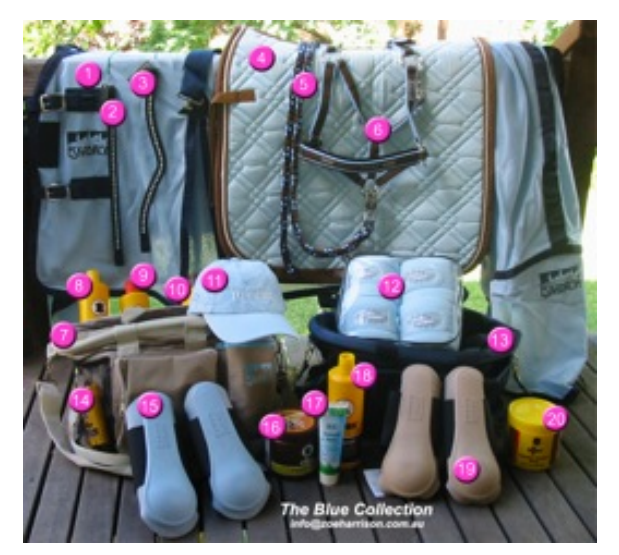 Ideal for horses with sensitive skin. Double VELCRO® brand fasteners for security. 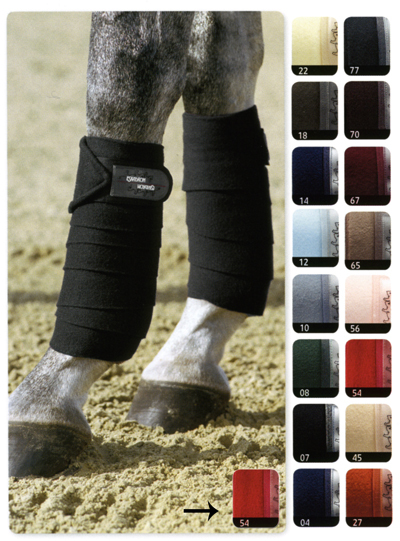 6.5mm strong, coated neoprene horse boots, which is extremely tear-proof, whilst being soft and flexible. Eskadron's Neoprene Boots come in blue, black, white, grey, green and chocolate with a TPE spoon, and double elasticated Velcro fastening. Front and back available. 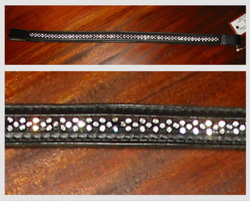 Otto Schumacher browband - black with small 3 line formation of small Swarovski crystals. 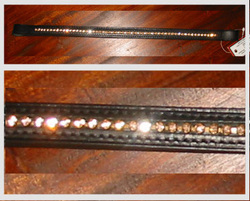 Otto Schumacher browband - black with single line of Apricot coloured Swarovski crystals. 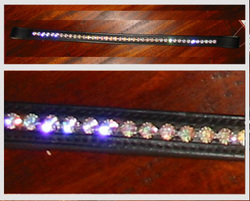 Otto Schumacher browband - black with single row of large Swarovski Crystals.